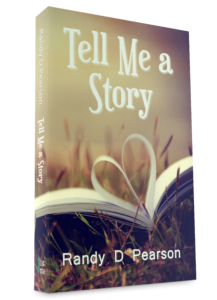 Would you like a signed, personalized copy of Tell Me a Story, but don’t live in the Mid-Michigan area? Well then, let’s make this easy for ya! You can purchase Tell Me a Story using the drop down menu below. If you only want Driving Crazy, follow this link right here! If you only want a copy of my latest, Trac Brothers, click here. I generally ship the next day, and I might even include a surprise or two in the package! To send money using PayPal, click on the drop down menu below, choose the option you like, and slap that “Buy Now” button. If you’d rather use a different way of sending me money, or you’d like to buy more than one copy, email me at RandyP1111@Yahoo.com and we’ll work out the details.